Ok yesterday we had some faux food treats, but today we've got some real sweets thanks to the cookie genius, Meaghan, of the decorated cookie. Let's see what tasty things she's got for us now! 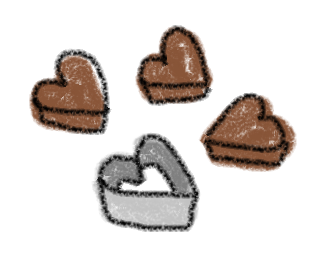 ...tiny mini little bite-size chocolate heart cookies, of course. Did I fool you? No? You are too clever for me. And I couldn't stop at pie. I had to make a little cupcake with a secret stash of cookies, too. Just lift the frosting top and cookies! how to make cookie "pies" and "cupcakes"
*I used my chocolate dough, but you can use any you like. 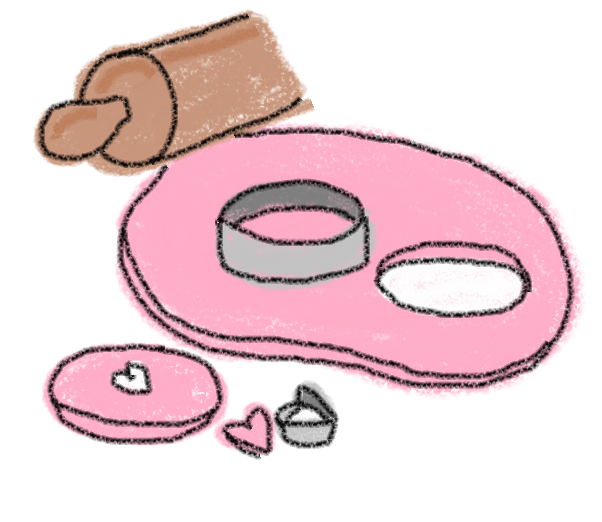 You should be able to find the circle and mini heart cutters at the craft store, perhaps as part of a fondant or cookie cutter set. Find the fondant, decorating bags (12-inch disposable plastic ones), tips, couplers and cupcake liners at the craft store. You can also purchase pre-tinted, pink fondant at the craft store. For coloring, I use Americolor soft gel pastes (Electric Pink, Bright White, Red Red). For tips on finding supplies CLICK HERE.The fruit is used only as a mold, so any comparable ball will work. 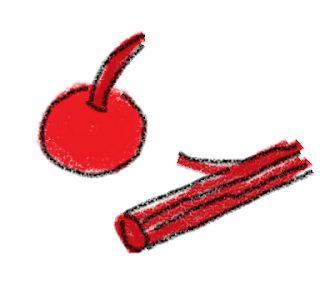 The licorice is just for the cherry on the cupcake. 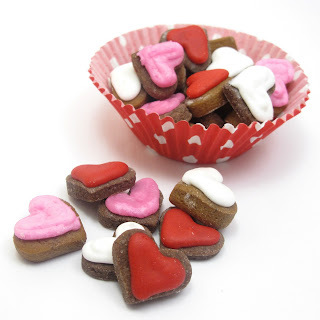 Prepare dough according to the recipe, chill, cut out mini hearts (about 20 to 25 per pie or cupcake. Yes. This is tedious), bake and let cool. Bake fewer minutes than the recipe calls for since these are so mini (about 8 minutes). Prepare frosting and tint desired colors. I used white, red and pink. Yes, you must add white food coloring to make white frosting. Prepare frosting bags with couplers and tips, fill with your colors, and tie closed tightly with rubber bands. 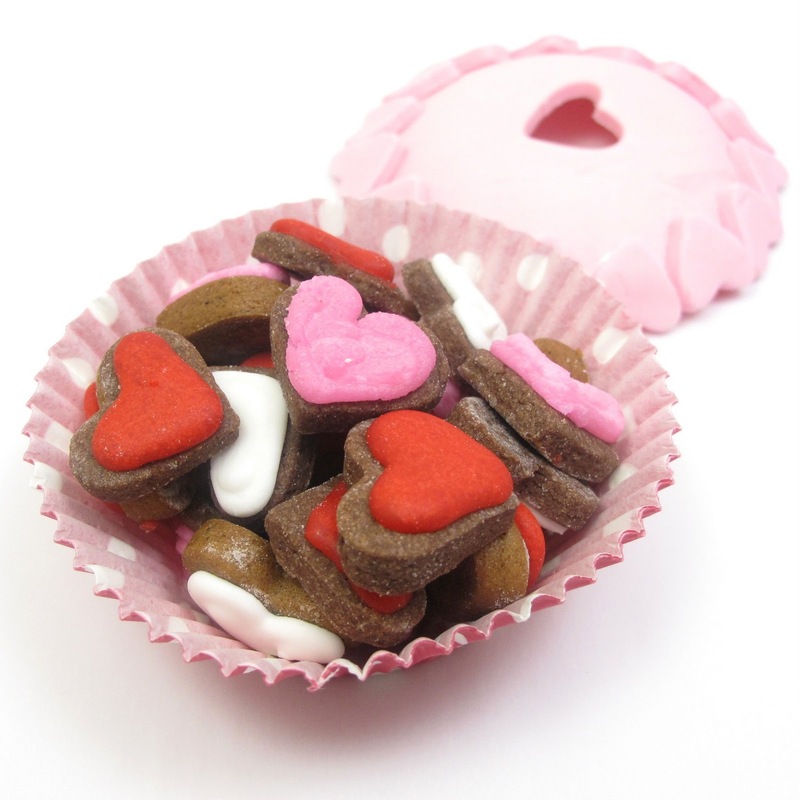 Pipe and fill the mini heart cookies. Because they are so tiny, I held a cookie with my left hand and piped with my right. Let dry overnight. 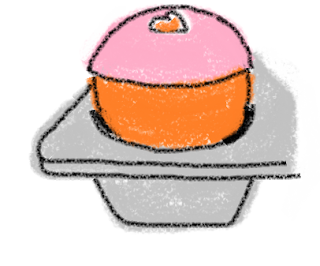 Meanwhile, make the "crust" and cupcake lid. Tint fondant desired color, I used pink, by kneading drops of food coloring very well into the fondant. If the fondant gets sticky from overhandling, let rest at room temperature uncovered until easily pliable. Or, purchase pre-tinted fondant. 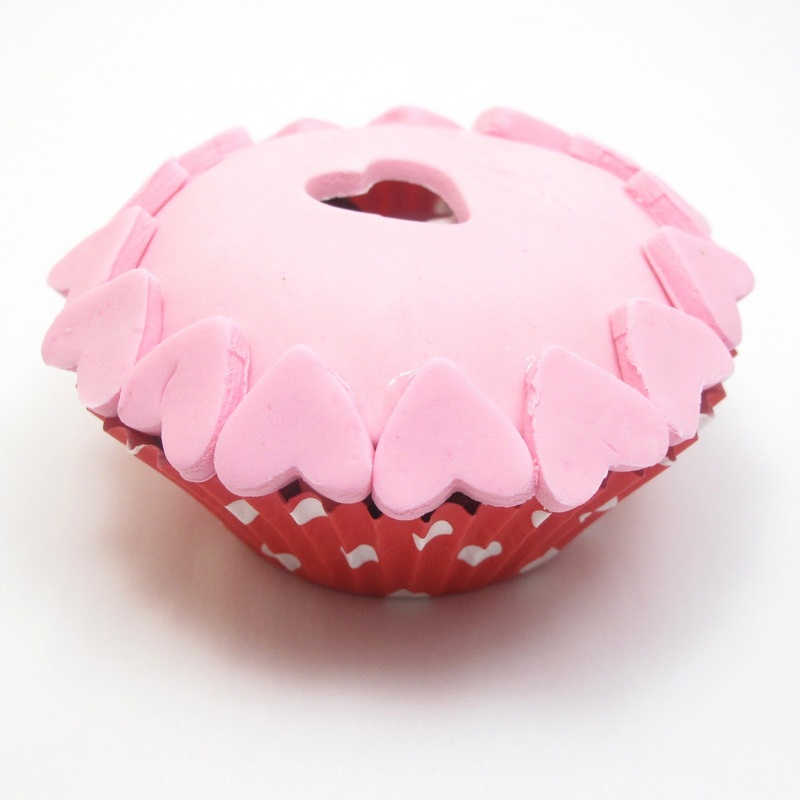 Roll out fondant on a surface dusted with confectioner's sugar to prevent sticking. Cut out a 3 inch circle. 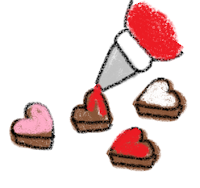 For the pie crust, also cut out a mini heart from the center. 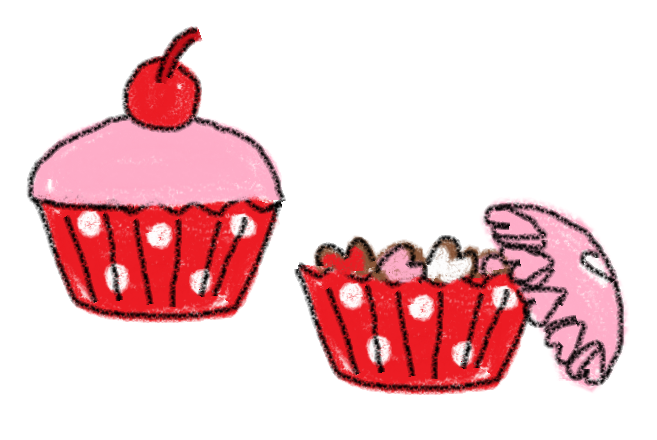 Arrange your apples, oranges, or other fruit in the cupcake tin, sticks or poky things facing down. Cup the fondant circles over the fruit. Let stiffen several hours or overnight. 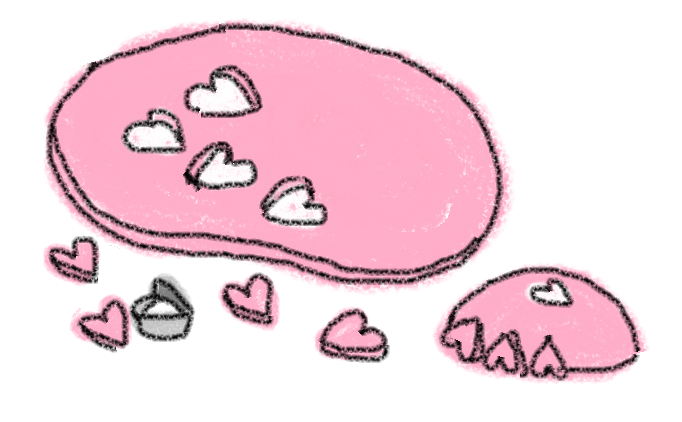 For the pie crusts, from the rolled out fondant, cut out mini hearts (you'll need about 15 per round, depending on the size of your cutters. Yes. This is tedious.) Dab a dot of light corn syrup on the back of a mini heart using a toothpick and adhere to the stiffened dome of fondant. Let dry well. 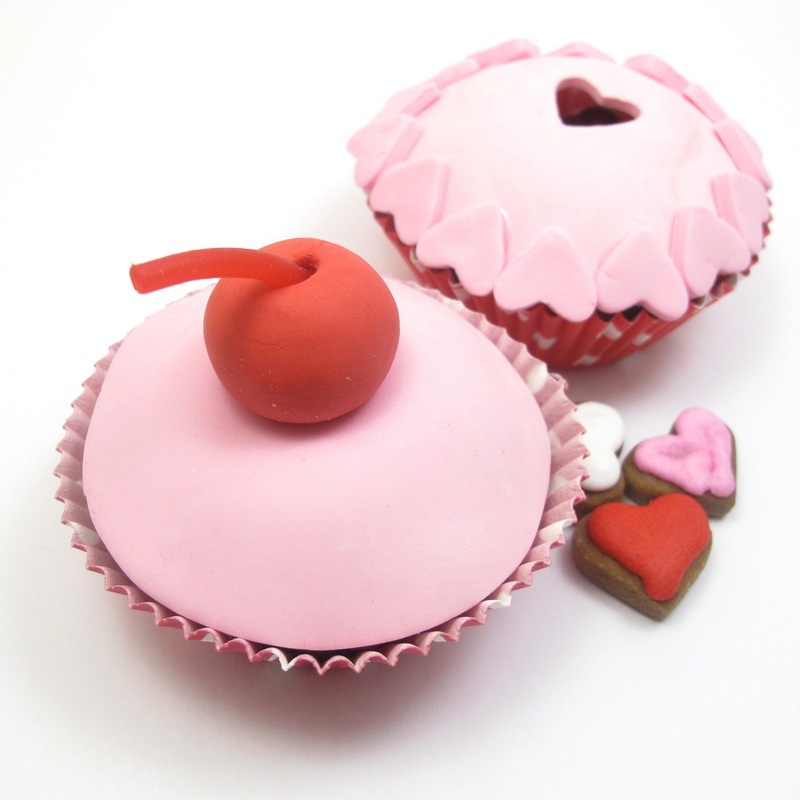 Knead drops of red coloring into fondant to make red. 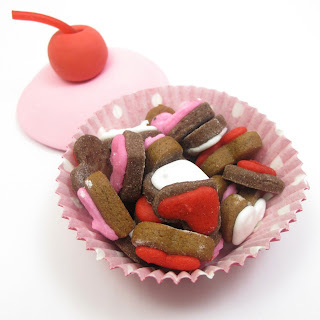 Roll a ball of fondant then insert a little piece of pull n' peel Twizzlers. step four: assemble your cookie "pie"
Place dried cookies in a cupcake liner. 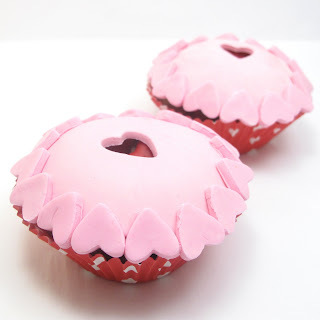 For best results, double or triple line the cupcake liners. Rest the dome on top. 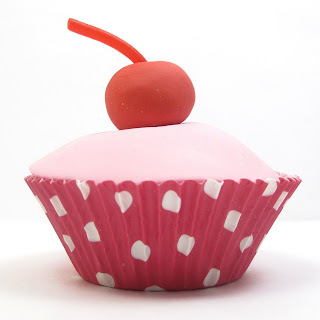 For the cupcake, place the cherry on top (secure with a dab of light corn syrup if you like). That's it! Thank you to Cheryl and to all her readers for having me visit! I hope to stop by again soon. Maybe by the next time I'll take inspiration from Cheryl's amazing creations and actually pick up some needle and thread and give sewing a whirl! Thanks for the tasty treats Meaghan! !